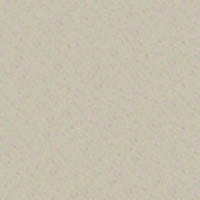 He reports from good performance and F/B and pattern similiar to the plotted pictures. 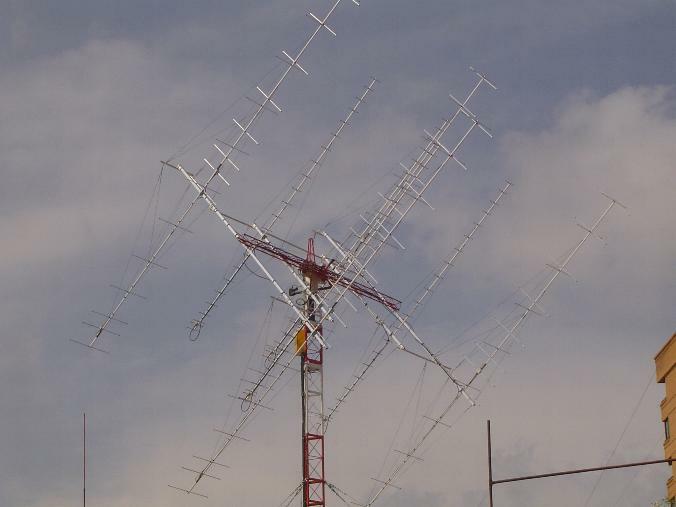 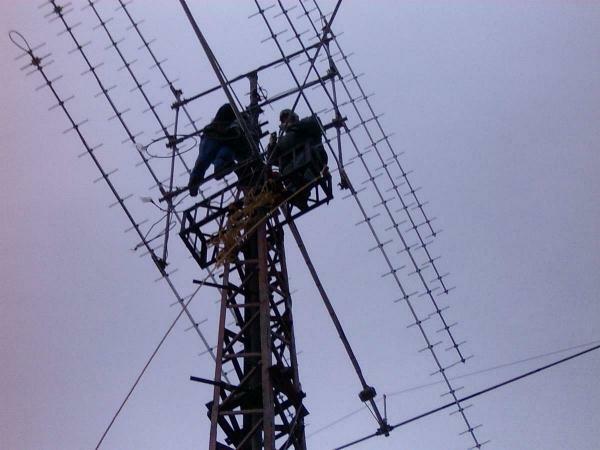 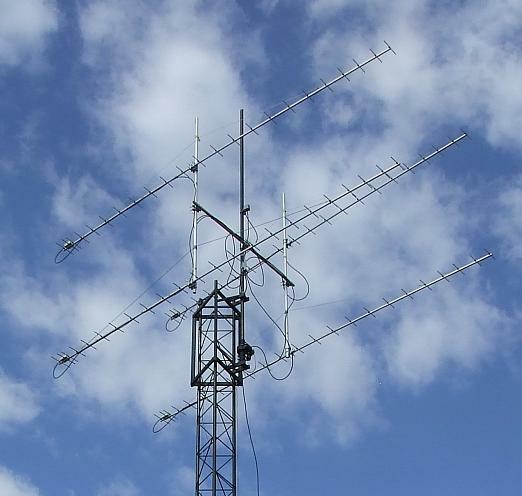 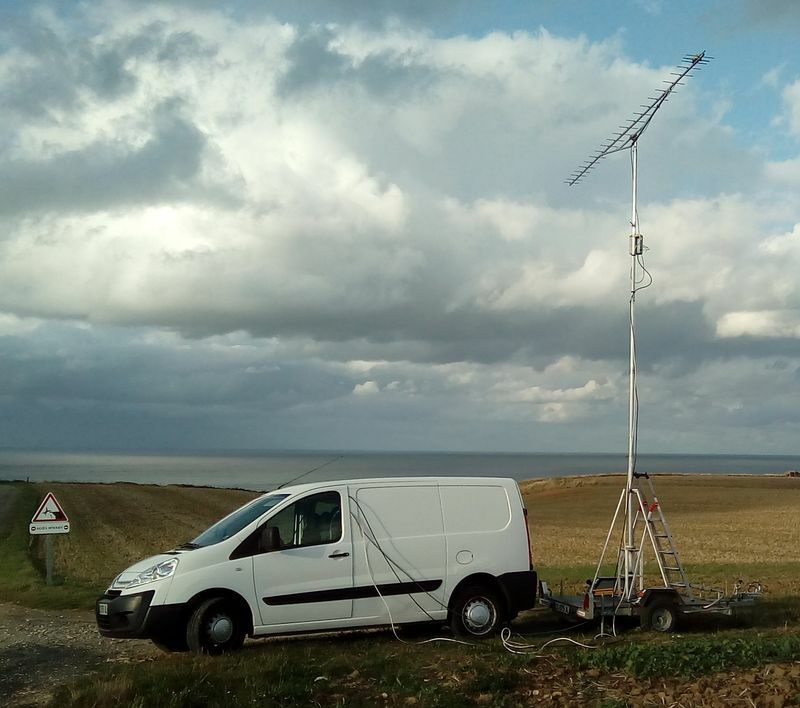 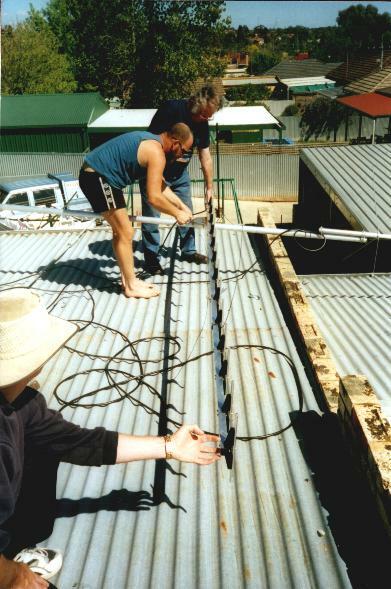 A very good solution ist the mounting of 4x7-El.-Yagi vertical in front of the stacking harness. 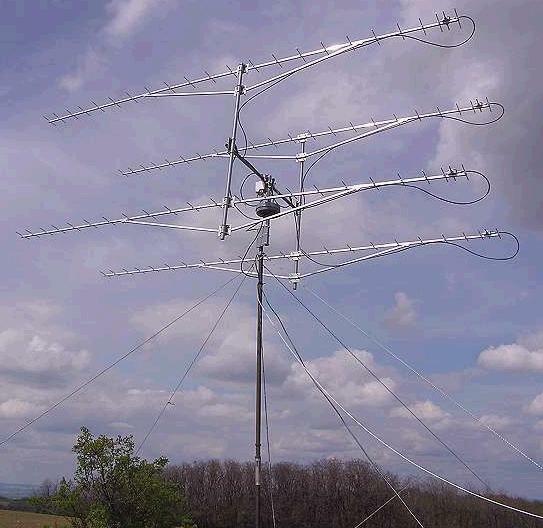 So Mario needs no glassfibre for the boom and has an x-pol antenna!